If you’ve lost a few consecutive missing teeth, you may choose a traditional fixed bridge or an implant supported bridge. At Chester County Dental Arts, we almost exclusively encourage patients to receive implant retained bridges. These unique restoration options are the only tooth replacement solutions that replace the roots of missing teeth as well as those parts of the smile visible above the gum line. 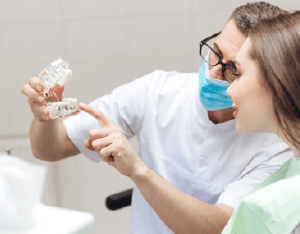 If you’ve lost two or more teeth in a row and you want to learn more about your tooth replacement options, call our Coatesville dental office to get started. 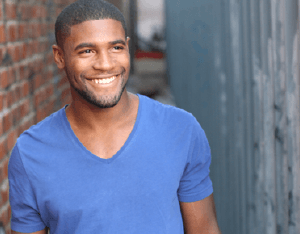 During your consultation, we’ll examine your condition and review all of your treatment options to help you restore your smile to full, flawless function. A traditional dental bridge replaces one or more teeth in a row. The replacement teeth are fused to two dental crowns, one on each side, that are then attached to surrounding healthy teeth. An implant bridge is similarly crafted using a row of fused together replacement teeth. Rather than attaching to healthy teeth, they are affixed to two dental implant posts. 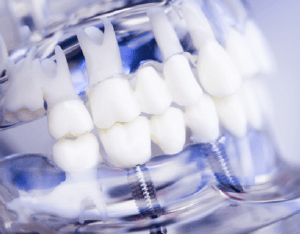 How do Implant Bridges Work? An implant-supported bridge is placed over the course of three phases of treatment. The first phase is preparation and planning. We may need to remove teeth, place a tissue graft, and/or work with a physician to ensure your overall health before treatment. Then, we’ll place the two implant posts. Over the course of several months, these implants fuse with the gum and bone tissue. Then, we design and attach the fixed bridge. When Would I Need an Implant Bridge? An implant bridge is recommended for people who are missing two or more teeth in a row. In some cases, we may also use two or more fixed bridges to replace numerous missing teeth after advanced tooth loss. How do I Care for My Implant Bridge? 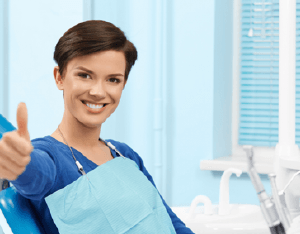 Once in place, you can continue to brush and floss your dental bridge just like you would healthy teeth and visit us twice a year for a dental exam and teeth cleaning. It can also be beneficial to use an air or water flosser to remove plaque buildup between the fixed bridge and gum line. How Long do Implant-Retained Bridges Last? Once in place, an implant-supported fixed bridge will last two decades or longer before they need to be repaired or replaced. Many people end up keeping the same implant bridge for the rest of their lives. Traditional dental bridges need to be replaced every five to ten years.